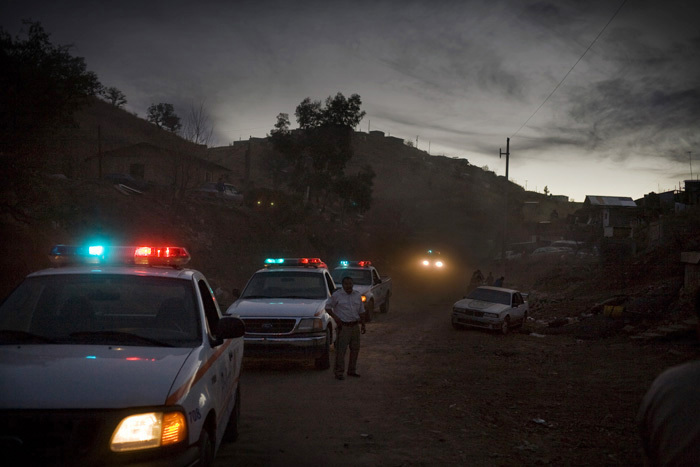 In the three and a half years since Mexican President Felipe Calderon escalated the battle against the country’s drug cartels, more than 20,000 people have been killed and kidnappings have skyrocketed. 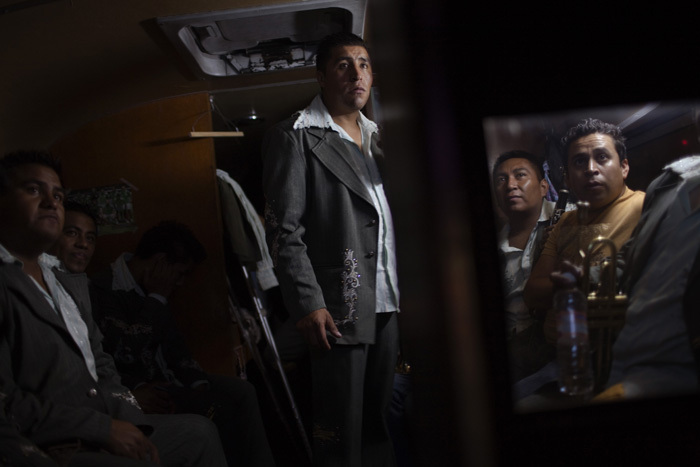 The cartels in Mexico are ruthless, meting out an awesome brutality where heads are rolled into crowded discos and dismembered bodies are abandoned on busy streets. Heavy Hand, Sunken Spirit is an ongoing project about the societal costs and consequences of Mexico’s violent drug war. It frames the violence as a symptom, as opposed to the problem, and one of a variety of symptoms that will haunt the country for generations. This country is in the midst of a “conflict” in every sense of the word, and when documenting this conflict it is important not to reduce what is happening to a series of nearly anonymous images of carnage that could be happening anywhere. 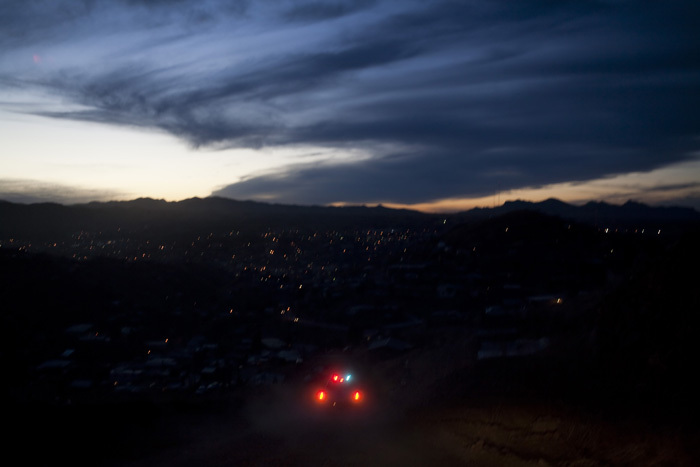 I am not creating a story about violence that happens to be set in Mexico, but rather a story about Mexico’s present situation, offering a snapshot of a time that will be referred to for decades as people look for answers to make sense of Mexican society. I want each image to convey a sense of Mexico, her color, and her culture. The conflict in Mexico represents how a grand, intense struggle can be transformed into quiet, daily dramas that are woven seamlessly into the lives of those involved. 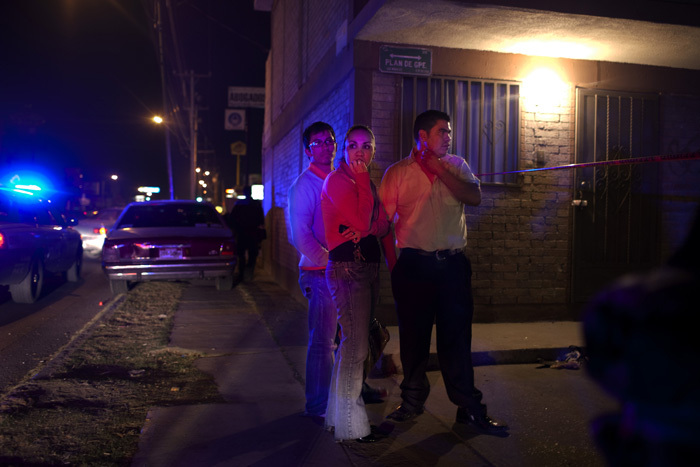 Many in Mexico are forced to make sense of a situation that is, simply, irrational. Their faith in democratic institutions is being tested and their sense of normalcy is being assaulted; what appears to an outsider to be a horrific campaign of violence and intimidation is simply a routine part of life for many Mexicans. This project is meant to expose the evolution of deep changes that this conflict has brought about, as well as the scars that will remain long after the violence subsides. David Rochkind is a Mexico City, Mexico based artist. To view more of David's work, please visit his website and his blog.